An elegant yet easy to prepare first course. 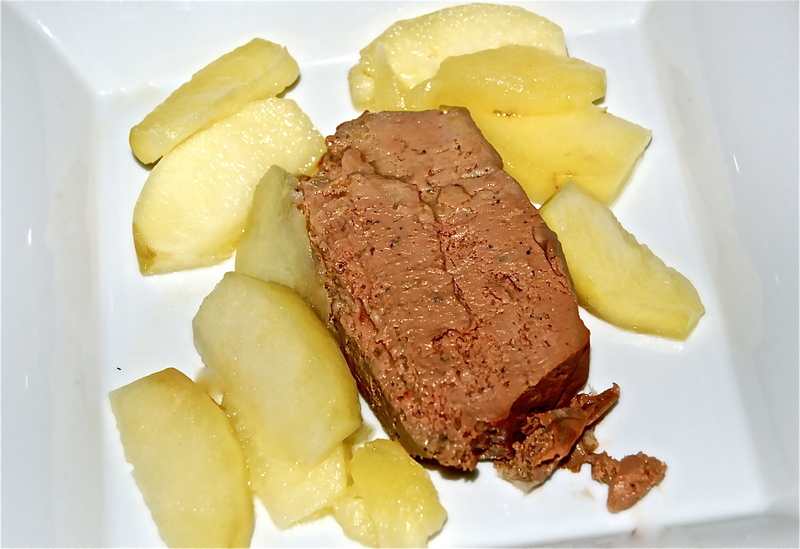 It’s amazing how the thought of Mousse, Pate, Parfait and Terrines of Chicken, Duck, or Salmon can be intimidating. Cathie has a motto, “If you can read, you can cook”, and she is a fine cook. Combine that motto with the determination to do it right, and you might be delighted with the result. 1. In a spice grinder combine Peppercorns, Juniper berries or Allspice, Clove & Coriander Seeds; finely grind & set aside. 2. Melt 2 tablespoons Butter in a saute pan over medium-high heat, when foam subsides, add Onion & cook until softened, about 3 to 4 minutes. Add the Livers to pan & sprinkle with salt; cook the Livers on one side until they begin to brown, about 2 minutes, then flip them & cook the other side. Be sure to keep heat relatively high so that the outside of Livers sears & the centers stay pink. 3. Put the Onion, Livers & their Buttery juices into a food processor or blender, add the remaining Butter, the Heavy Cream, the ground Spices & the Brandy or Cognac. Dissolve the Gelatin in 1/4 cup of Water & add it to the food processor or blender. Purée the mixture until it is velvety smooth. Taste & adjust the seasoning. 4. Transfer the Mousse to a Terrine lined with Parchment paper, smooth the top with a wet spatula & refrigerator for at least 3 hours or as long as necessary. You want the Mousse to be fully set & easy to slice. Unmold to a suitable platter.